The World Cup match between Egypt and Uruguay will start in less than 24 hours. If you missed the announcement post, please read it before participating to this contest. UPVOTE the comment “EGY - Egypt win”. 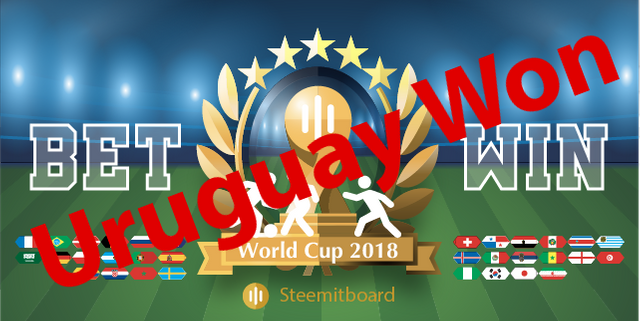 UPVOTE the comment “URY - Uruguay win”. Your upvote must be done BEFORE 2018-06-15 12:00:00 UTC to be valid!